Scout’s honor, I swear I was already preparing this long before the news that Adam West, who introduced me and a lot of my generation to Batman and Eartha Kit with its campiest iteration, had passed away. I was going to share it anyway because Prince would have turned 59 years old this last Wednesday, and the 1989 Batman soundtrack has such a mixed legacy that I imagined Robin Williams pranking him with it in the afterworld: “Happy birthday, Prince. I called the house DJ and asked him to play ‘Batdance’ on repeat all day long….” The record was hyped up a lot as a “comeback” by the fickle music biz press, ironic considering that he had been putting out some of his most interesting and creative work with albums like Lovesexy and Sign O’ The Times, but those ambitious records did not take the world commercially by a Purple Rain-style storm. When word got out that Tim Burton – who apparently was listening to those aforementioned albums while working on his Gothic reinvention of the Batman mythos – had asked Prince to put together a soundtrack, the hype machine began heralding that this high profile film was going to put Prince back in the “biggest star on earth” slot. In the end the truth is probably best encapsulated by the phrase, “THROW IT!” from Shaun Of The Dead, when Prince’s Batman is separated from Shaun’s record collection, including several Prince LPs set aside as worth saving during a zombie apocalypse, and chosen instead to be used as a projectile weapon. It’s a kind of distinction. “Batdance” was released as a single before the album came out and was greeted by many fans with trepidation if not outright embarrassment. It charted immediately, though, and my brother who had once chided me for my Prince fandom went out and bought the record before I did, so I guess it succeeded in winning some people over. As a record it is a mish-mash of things Prince had laying around for years along with new material inspired by the dailies Burton was showing him. I personally find some of the tracks on it, taken in isolation, are pretty darn great. But as an album to be listened to, I am in the camp that finds it to be one of his least engaging efforts. And as is often the case with him, the remixes and extended versions of some cuts are potentially more interesting than the album versions. The club-ready remix presented on the A side of this 12″ single was done with the help of William Orbit and Mark Moore, showing Prince fully embracing house music as yet another avenue to explore. I am no connoisseur of the genre but I like this mix, and it’s more compelling than what’s on the flip side. Everything below the break is taken from the Wiki and Prince Vault pages on this song and its permutations. The B-side to the “Batdance” is “200 Balloons”, which was recorded for the film and serves as the musical blueprint for the main portion of “Batdance”. The song was rejected for the film by Tim Burton and replaced with “Trust”. The lyrics of “200 Balloons” reference the scene which it was created for to a greater degree than the replacement track, which is only connected to the scene by the Joker asking “Who do you trust?” after the song ends. Prince did little more than replace the lyrics of “200 Balloons” in its transition into “Batdance”. Some lyrics even survived the transition, and more showed up in “The Batmix”. “200 Balloons” also contains samples of “Rave Unto the Joy Fantastic”, another song submitted for inclusion in the movie, but rejected (it was replaced by “Partyman”). The 7″ edit of the song is basically the album version without the guitar solo and the up-tempo part near the end. The 12″ vinyl and CD Maxi versions of the single included two remixes of “Batdance” that were done by Mark Moore and William Orbit, “The Batmix” and “Vicki Vale Mix”. 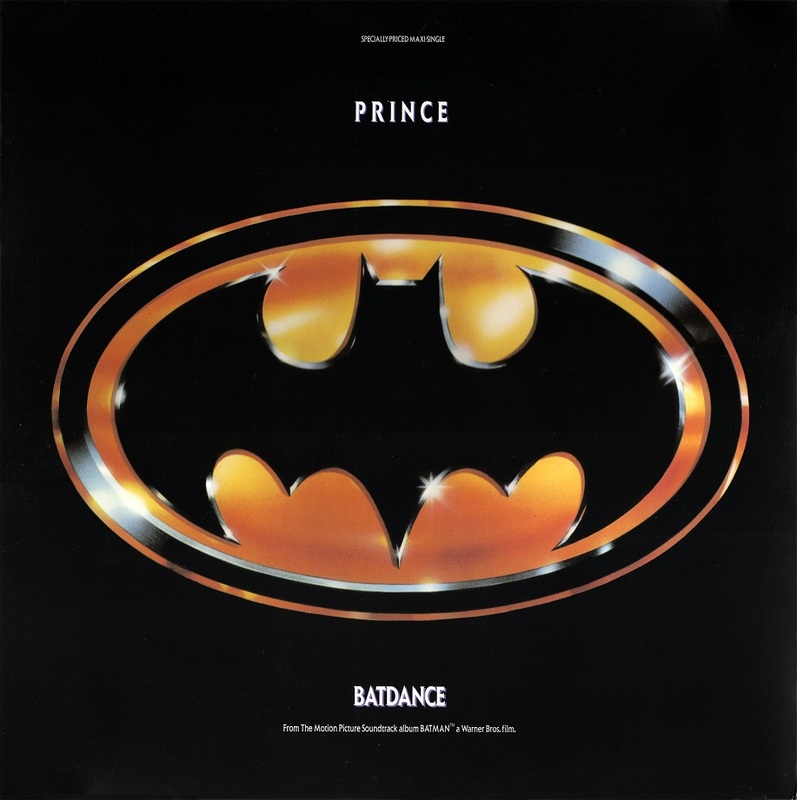 “The Batmix” focuses on the chaotic “rock” section of “Batdance”, and is supplemented with electronic distortion and sampling of voices, instruments, and larger excerpts of Prince’s then-unreleased “Rave Un2 the Joy Fantastic”. The “Vicki Vale Mix” is an extension of the middle part of “Batdance”, which includes dialogue between Bruce Wayne and Vicki Vale. In addition to “200 Balloons”, the CD Maxi single (9-21257-2) features both of these remixes. Batdance was the first single to be released from Prince’s eleventh album Batman (the motion picture soundtrack to the 1989 Tim Burton movie Batman). It was released two weeks prior to the album, and received a release around the world, becoming Prince’s fourth US number 1 single on the Billboard Hot 100 Chart (following When Doves Cry, Let’s Go Crazy, and Kiss). It also reached number 1 on the Billboard Hot Black Singles and on the Billboard Hot Dance Music – Club Play charts.